#1 Cause For Loss of Polished Floor Shine. . . | Blackwell's Inc.
#1 Cause For Loss of Polished Floor Shine. . .
one cause is . . .
That's right. The number 1 cause is neglect (or just using water). The final sheen of a polished floor is created by using finer and finer grit diamond pads until the surface gleams. 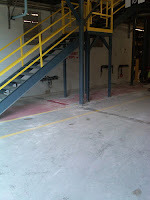 Constant foot traffic, forklifts, pallet jacks, etc. relentlessly pick up foreign soils and redistribute these soils throughout the floor, leaving a scuffed appearance. Using only water as a cleaning solution is not effective. Water will not suspend the dirt which allows debris to remain on the floor. 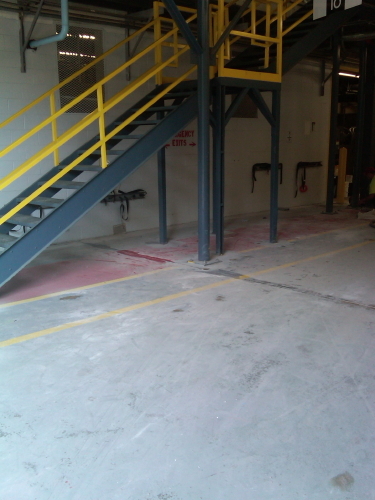 Ask for our brochure "Care of Polished Concrete" (PDF) for maintenance recommendations.